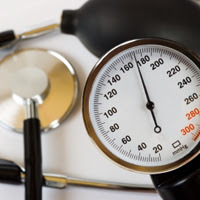 Anxiety attacks can lead to temporary high blood pressure. The release of hormones such as epinephrine, norepinephrine and cortisol leads to blood vessel constriction and increased heart rate. This in turn results to an elevated blood pressure. Although the effects of these attacks are short lived, uncontrolled panic and chronic stress can be damaging. The blood vessels, the heart, as well as the kidneys suffer from these frequent, short burst of high BP. If you suffer from such debilitating condition, caution is very much encouraged. Disregarding these signs and symptoms can cause additional cares and complications. There are a variety of approaches to facilitate the management of your anxieties. Through these healthy coping techniques, your blood pressure reading can be controlled as well. To learn of these management tips, read on. As normal as stress is to your life, having too many deadlines to catch, too many demands to fulfill and too much hassle to endure can be detrimental to your health. Constantly finding yourself frazzled and overwhelmed can put your mind and body to overdrive. This constant running in alert mode can tip the balance of the nervous and cardiovascular systems towards the danger side. It is important then to recognize when you have had enough. When you become aware of this, you must filter all your activities and omit those that cause you to feel exhausted and inundated. Try to relax a bit and take on tasks one at a time. Rest and sleep is something that your body needs. It is what you do in order to regain all the exhausted effort you have given for the day. But with too much work in your hands, you find yourself with too little time for pause. You may work all hours, cancel your lunch break and cut back on your much needed nap to make more time for tasks assigned to you. If you drive yourself 24 hours a day and 7 days a week in this manner, much sooner your body will give way to stress. Hence, relax and take some rest. Use your break at work wisely. Take your 15 minutes to close your eyes and to rest your aching muscles. Every night, sleep for at most eight hours to recharge your mind and body. And on weekends, treat yourself to a nice novel, a good show, or some tea time with friends. A persisting anxiety that is unrelated to stress can be a warning sign that you are drinking too much coffee than you ought to be. If you track how much coffee you take every week, you might find out that your regular cup has become more than a usual morning wake-up aid. Your mug of latte could have turned into six or seven cups as the day progresses on. With this excessive number, no wonder you get easily irritated and restless. Palpitations, headache and trembling of the hands are common discomforts, too. To improve your condition, you must take control and limit your coffee intake. Cut back gradually to wean yourself safely from the effects of caffeine. Abrupt changes could lead to rebound anxiety that can aggravate your situation. A variety of beverages such as soft drinks, energy drinks, teas, and fruit drinks crowd the market today. With too many options to choose from that offer sweeter and tastier flavors, the bland water has been overlooked by many drinkers. With this decline, a lot of dehydration problems and related ailments have been recorded, anxiety included. Pure, plain drinking water is an essential part of the diet. It is important for the transport and distribution of needed nutrients, enzymes and other hormones to the vital organs of the body. It is also crucial for the elimination of wastes and other toxic elements inside the system. With too little water intake, toxins build up in the body that stresses the vital organs. This stress leads to anxiety and, when activated results, to increased blood pressure. One way to reduce stress and improve your cardiovascular power is to regularly perform exercise routines. Exercise helps to pump endorphins into your system that emits feel-good sensations and better the stressed mind and exhausted body. With these feelings, self-confidence is increased and symptoms of mild depression and anxiety are reduced. Sleep is improved, too. Aside from these benefits, exercise proves to be a very good outlet for releasing the day’s irritation and restlessness. Any form of exercise can be used in your process of getting physically and mentally fit, from running to weightlifting, from aerobics to swimming. What matters most is that a physical activity is done at least 30 minutes a day. Anxiety and increased blood pressure is fairly manageable through the said instructions. For people who suffer from these conditions, having your blood pressure checked on a regular basis is important. Consulting your doctor about your anxiety attacks and the symptoms you feel on each episode is also encouraged. Disregarding these issues will sure lead to more problems in the future.